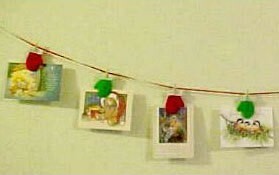 I am looking for instructions for making Christmas card holders using clothes pins. You can find a pattern for Mitten Card Holders made from mini clothespins . You can make this as long as you like, and the mittens slide along the line to space as desired. This pattern was submitted by me a few years ago and you can find it by copying the link below into your browser.